24/7/365 Support for your needs, we are ready to help for anything in anytime. Our Dedicated Servers have latest hardware on the market, Intel CPUs, SSD Disks, up to 20gbps uplink for each server. Our dedicated servers comming with unshared network speed and unmetered bandwidth. Delivery within couple of hours. Any hardware issue is fixed within 12 hours. Our DDoS Protection is provided from hardware firewall Radware Defense Pro 720, we guarantee 98% DDoS protection. No setup fee and no commitments. Pricing monthly starting from €40. Here-Host started with a simple goal: To connect the world and deliver high-bandwidth connectivity for an affordable price to everyone. 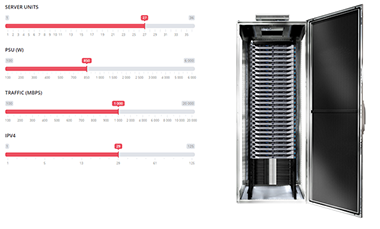 At the time (2014), 1Gbps uplinks were the standard, dedicated servers with 10Gbps ports were scarce and affordable unmetered plans even more so. As we have gathered years of experience managing servers and internet architecture globally we knew we could do it differently. We chose Sofia as our first DC location and have since expanded to 2 DC locations with handred of servers in place. I am using dedicated server from Here-Host, had no problems from 1 years, fast support and great service. Thank you very much for your work. Our company decided to risk with new hosting company like Here-Host, we was pleasantly surprised when we saw how fast is the support and the fastest servers delivery.